“Greetings from East L.A.” reviews the region’s various modes of transportation, with help from high school students representing the East Los Angeles Renaissance Academy (ELARA) at Esteban Torres High School. 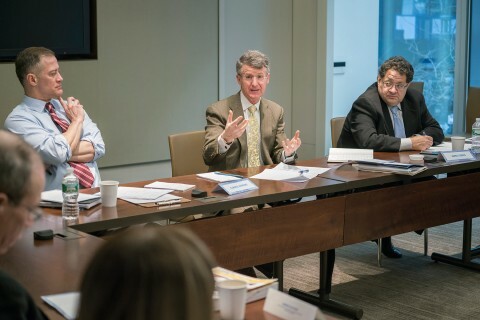 The third-year partnership involves the academy, the USC Price School of Public Policy and the social enterprise nonprofit Public Matters, with partial funding from USC’s Learning to Excel Academically and Professionally program. 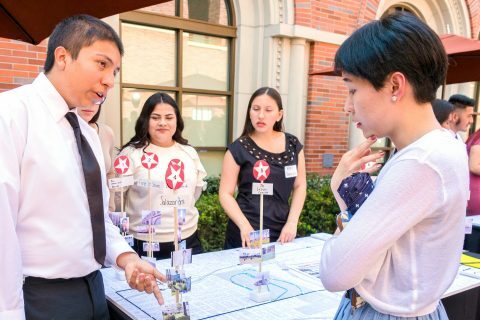 The students set up models in USC Price’s Franklin Garden Plaza and presented maps highlighting East L.A.’s rich culture, taking onlookers on a tour of several landmarks and pointing out the modes of transportation they used to get from place to place. 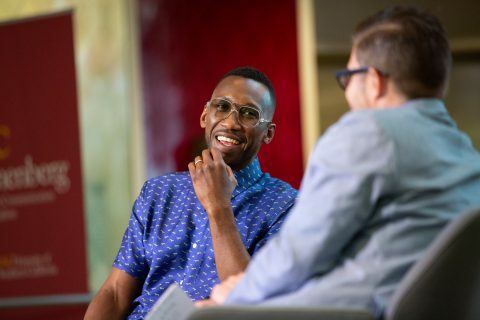 Three USC Price first-year Master of Planning (MPL) students and one undergraduate student provided lessons and advice to the ELARA students through internships with Public Matters. 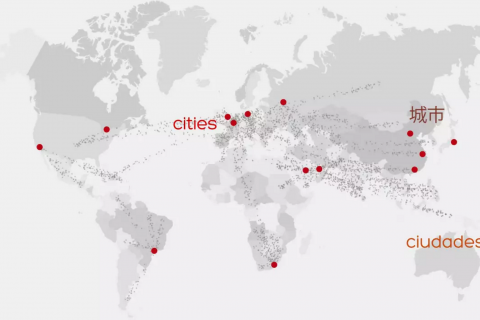 ELARA is one of three high school programs in the nation that focuses on urban planning and design. 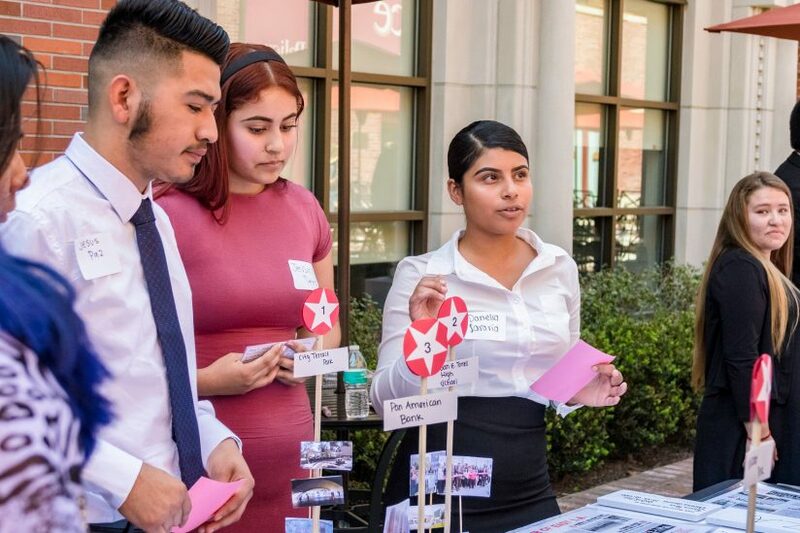 USC Price students helped provide the 11th grade class with tools to do the asset-mapping project by leading class sessions in an introduction, history and future of transportation, as well as how to use Google maps. 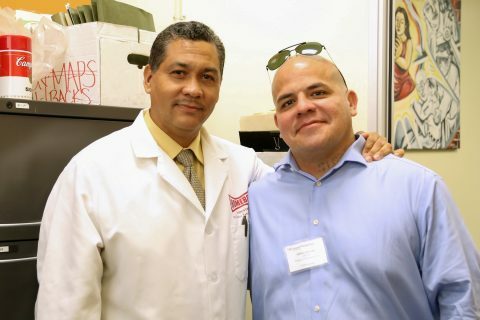 For MPL student Daniel Coronado, getting the internship was a personal experience because he grew up in East L.A. 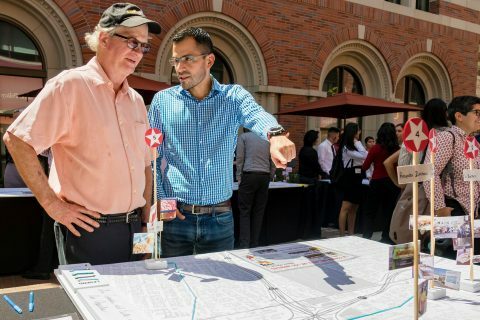 In addition to designing and setting up the mapping tours, ELARA students stood near their projects to answer questions from USC students, faculty and staff about the value they assign to the places they chose for their tours and their perspectives on transportation options in the community. 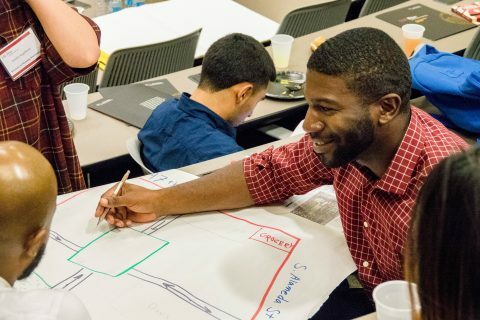 The week after their presentations in early April, the ELARA students made the same presentations at the Los Angeles County Department of Public Works. John Sonego, associate dean for development and external relations at USC Price, introduced Christine Vasquez, the first ELARA student accepted to USC. Although she hasn’t been in the class that participated in the “Greetings” program, Vasquez noted that she had heard a lot about it from schoolmates. While she hasn’t made a final decision of where she will attend college, Vasquez, who wore a USC T-shirt, said she was excited about the possibility of majoring in urban planning and public policy at USC Price. The USC Price students who interned for Public Matters also conducted a poll on the transit habits and perspectives of the ELARA students, who kept a transit diary for a period of about one month. Responding to their preferred mode of transit, 43.8 percent said car, 40.6 percent walking and 15.6 percent bus. Only 9.4 percent said they would use a bike-share program that is currently under consideration in the area. Big cities like Los Angeles can overstimulate the senses. USC experts suggest some ways to protect your mental health. 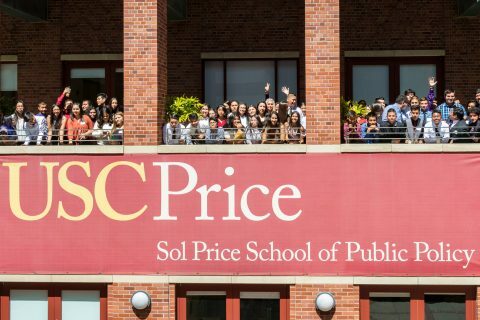 USC Price’s Annette Kim talks about the importance of inclusion amid mounting anti-immigrant sentiments.